Spanish-based Room Mate Hotels continues to strengthen its international expansion by adding 11 new hotels to its existing 18. The hotel chain will open new facilities in places like Istanbul, Bogotá, Rotterdam, Milan and Rome and reinforce others like New York and Barcelona. Room Mate Hotels will soon manage 29 hotels worldwide. In Rotterdam the chain will incorporate a hotel of 230 rooms in the well known Manhattan on the Maas district (Kop van Zuid). It will be decorated by Teresa Sapey, the avant-garde architect of Room Mate Pau in Barcelona. The ground floor will be devoted to a commercial area, offering Spanish products, among others. 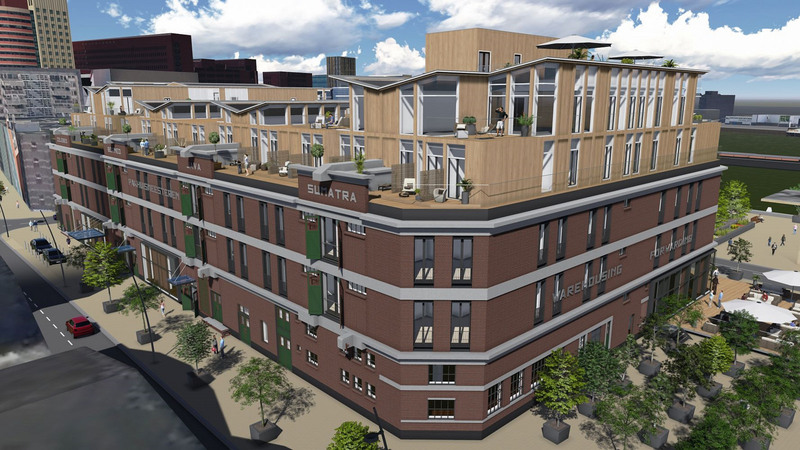 The Rotterdam Room Mate Hotel will be installed in the Pakhuismeesteren building, a former pre-WW2 warehouse to be redeveloped. Intriguingly another Spanish owned hotel opened its doors recently in the same street, the NH nhow hotel in the De Rotterdam complex. Another building on the same street, also a former redeveloped warehouse, is called Las Palmas. Will Rotterdam soon boast a Little Spain district? The year 2013 has been a key year to Room Mate in which the opening took place of Room Mate Aitana in the Netherlands, the largest hotel of the chain. The economic results show one of the best years in the history of Room Mate with occupancy records (80.3%) in Rev Par (89.88 euros) and an EBITDA of € 250,000. Meanwhile, the average room price stood at 112.42 euros, 2.10% more than last year and the GOP is 41% of revenues. The estimated 2013 turnover is € 35,225,000, while the forecast for 2017 is 200 million euros.